The Congress took a dig at the BJP government Sunday over rising prices of petrol and diesel, saying they were headed towards a century and Prime Minister Narendra Modi should be congratulated for it. Congress spokesperson Abhishek Singhvi said during the UPA, international crude oil prices hovered around USD 130 per barrel and still the prices were low, but now when the crude oil prices are around half, the prices of petrol and diesel are touching an all-time high. He also condemned the remarks made by Union minister Ramdas Athawale on petrol and diesel, saying they are "insensitive" and a "cruel joke" on the people of the country. "The prices of petrol and diesel are fast rising and moving towards the century mark. I congratulate the prime minister for inching towards the century and wonder when the diesel price would also touch the mark," he told reporters. He also said it seems that the meters at petrol pumps will have to be changed as there are no three digit meters installed there yet. He said petrol is sold at rate of Rs 91-92 per litre in two districts of Maharashtra and this situation is when the crude oil is at USD 68 a barrel in the international market. "Such kind of situation contextually is the reality and such kinds of comments are completely insensitive and uncalled for," he said, while training his guns on Athawale. "His (Athawale's) statement is a cruel joke. It is a very insensitive way to make a joke of the rising prices. 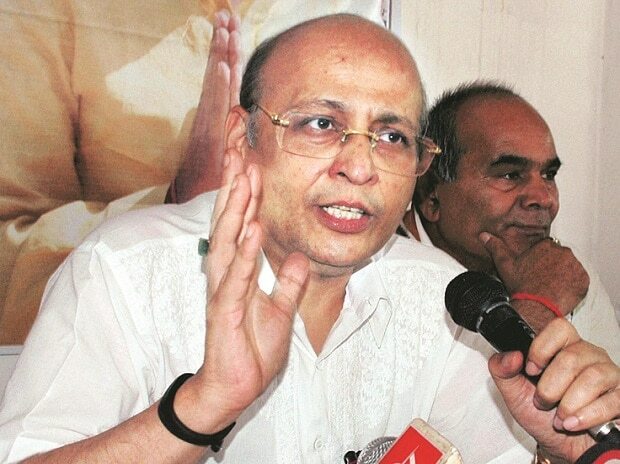 I can only condemn it," Singhvi said. Under fire for his comments that the rise in petrol and diesel prices doesn't bother him as he is a minister, Athawale regretted his remarks Sunday and said he had no intention of hurting the sentiments of the common man. In a statement issued in Mumbai, Athawale, a BJP ally and the Union minister of state for social justice, said he understands that people are getting affected by the rising fuel prices. "I do understand the feelings of people who are getting affected by the rising fuel prices. I had no intention of hurting the sentiments of the common man," he said. Athawale, who heads a faction of the Republican Party of India (RPI), made the controversial remarks at a press conference at Jaipur Saturday.